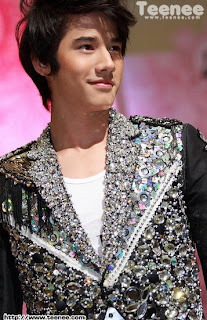 Yes, I'm posting about Mario Maurer but not my beloved Jay Chou. This is the first time I post about other male artist besides Jay. Reason why? Because he's hot, and most importantly, he's normal. he chose to be gendered under where he belongs. I heard he has acted in a gay film, and got well received. 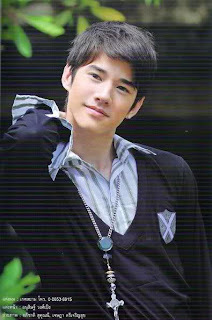 The following will be a series of youthful glory photos of Mario Maurer. He's already so beautiful when he's a kid. Growing up. I believed he has melted numerous girls with that charming smile. (above)bald head, went to NS? haha. (below)look at his feature! The advantage of hybrid. How can he be sooooo cute, having three kinds of blood flowing in him?! 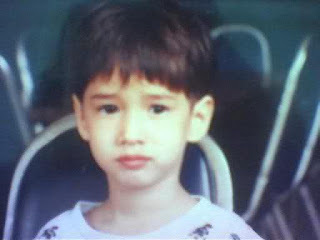 He's really cute, don't you think so? =) and the girl looks familiar. (left) he's all soaked but he's still hawt. (right) his feature and innocent look are his assets. To conclude, I still love Jay Chou.